Business Philosophy; Imagine partnering with a Realtor whose number one goal is to help you reach your buying and selling goals by listening to your needs and always doing business with the highest level of honesty and integrity. My goal is to be your number one resource and consultant for all of your real estate needs and to build long term relationships through win-win situations. Buyers and sellers can count on the following skills from me: •Excellent Communication and Responsiveness •Superior Negotiation Skills •Remarkable People Skills •In depth knowledge of the Real Estate Market and Local Areas •Knowledge of the Buying and Selling Process. 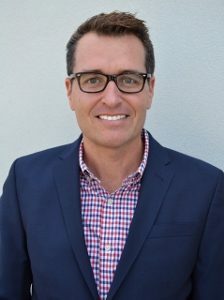 As a Santa Monica and Palm Springs resident for approximately two decades I have achieved an in depth knowledge of both remarkable locations and can offer unique insight into each market. My successful 20 year sales and sales management career in television advertising provided me with the knowledge and experience to become a successful realtor. I created and own my own successful vacation rental business and am an expert in the area of second homes and generating income through the vacation rental market. As part of a military family, I grew up traveling and moving throughout the country. I graduated from UCLA with a B.A. degree in Economics and have a strong understanding of other cultures from both my world travels and experience in selling multi-cultural media. I am always available to provide assistance for all of your real estate needs and I look forward to hearing from you whether it is through an e-mail, text, phone call or Facebook.